In a small saucepan combine the butter, honey, and peanut butter over medium heat til smooth. You don't need to boil the mixture. Take off the heat and add vanilla. 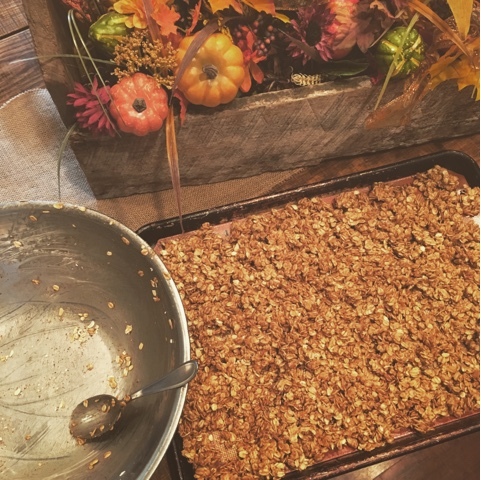 Mix with oatmeal and spread evenly on a sheet pan. Remove from oven and cool overnight on the pan. This will help the mixture dry out and get that extra crunch! Store in container and enjoy!